King Bach and his friends perform at Laugh Boston. The viral sensation is working hard at becoming a legitimate actor and shedding the stigma of just being internet famous and bringing his friends along for the ride. I was privileged last night to be in the presence of an “internet legend”. Viral sensation King Bach is doing a stand-up comedy tour and started off the tour in the greatest city in the world, Boston of course!! 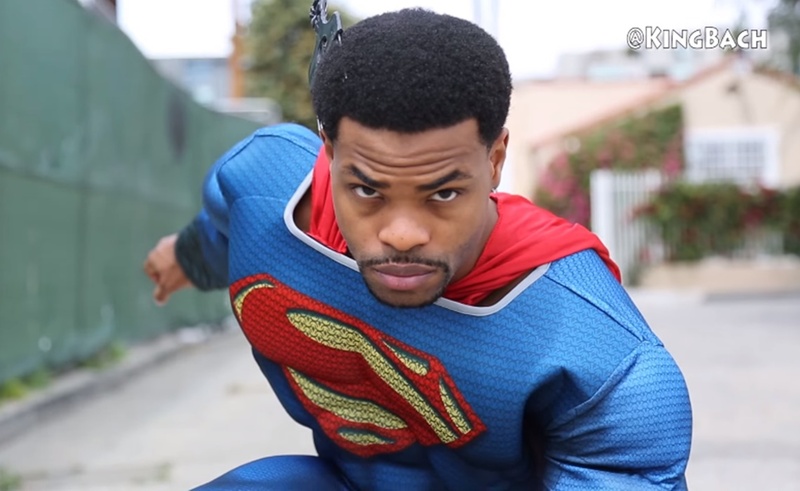 King Bach whose government name is Andrew Bachelor and also a Guinness Book World Record Holder (most Vine followers) has about a handful more dates through January with dates in New York and Alabama; if he is coming to your town I definitely would recommend getting tickets. The show at Laugh Boston was cool vibes, starting with Bach’s DJ playing music to build momentum before introducing a white rapper from New Hampshire that wasn’t wack, an impressive feat in and of itself. After that Bach bought his childhood friend from Florida onstage Sean G who had some funny jokes and got the crowd warmed up for the main event. Bach proceeded to work out new material, improv, interact with the crowd, and share his life experiences with his newfound fame such as being the brokest of his new friends which include Justin Bieber, Floyd Mayweather, and Tyga. While some internet stars get the stigma of being unworthy of film and television roles. Andrew Bachelor could be the one who changes that mold showing his range with a wide variety of projects including his work on feature films, upcoming comedy special, and debut musical parody album. The former Florida State track & field star who also studied for his acting MFA at the Burbank campus is proving that viral sensations can have careers with longevity and he is bringing his friends along for the ride via platforms such as his subscription VOD service dubbed Zeus.